Everyone knows, that we need an effective and winning business plan, but sometimes we may overlook the importance of marketing plan. An efficient marketing plan defines all the tools and strategies we use to attain the company revenue related goals. The marketing plan should not go beyond a year, because we are experiencing very rapid evolution in business dynamics. Strategies that work today may be passe a year from now. Every business owner is aware of the importance of an effective marketing plan. Sometimes, great marketing campaigns face complications, even cannot get the desire outcome, after spending a million dollars. The most crucial element of the marketing plan is the anticipation of short-term and long-term goals. To build an ideal successful marketing plan we should consider the following steps. The Executive Summary is the top section in any marketing plan. It contains the product or services purpose, and summarizes the entire marketing plan. Although, this is not a public document, done right, it gives a high level glimpse into the full marketing plan for those it is presented to. Situation analysis is the vital part of the entire marketing plan. In this section, we look into market conditions and decide what to do, when to do it, what to add and what to avoid. We try to figure out the current and future demand for the products or services we are offering. A comprehensive Data analysis can assist us in decision making. The Market Summary section is considered to be the essence of a marketing plan. This is where marketers highlight the essential points of the whole plan to focus them. In other words, the market summary is the juice of entire market research. Market demographics relates to market segmentation. Marketers divide the audiences in different segments, such as, age, gender or on the basis on income level. Who Are the Best customers for our product? We must know the right audiences to target. The other part of this section is geographical segmentation, where the marketers, set geographical areas to target. Many marketing plans fail just because of focusing the wrong geographical areas. Before launching any product in any region, we must be aware of the customer’s behavioral factors and needs, on the basis of the different areas. Market growth relates to the changing demand for the particular product or services. Marketers must anticipate the future growth for any product on the basis of previous and current trend analysis and try to find the hidden patterns to better facilitate the customers in the next couples of years. This section of the marketing plan demands great market research and analysis. SWOT analysis is matrix of strengths, weaknesses, opportunities and threats. If we look around us, we can identify thousands of business opportunities, but the point is, very few of them are feasible for implementation. SWOT analysis is a useful technique, which help us to identify the key strengths and weaknesses within the company. Through SWOT analysis, we identify the real opportunities and threats to the company which might affect the future market growth. It consists of both internal and external factors. We must have a clear understanding of marketing objectives and financial objectives. Why we are doing this? How do we maintain our positive image in the market? And how can we increase our market penetration? Every businessman’s concern is the ROI. The financial objectives should be clear in the marketing plan. How much we spend and how much revenue we will generate. You cannot convince any investor to invest in marketing, without clear and seamless financial objectives. In other words, we cannot sell the product, wherever we want to sell. Before planning to sell anything, we should identify with the customer’s needs. Focusing on the right target market is an important step in the formation of a marketing plan. 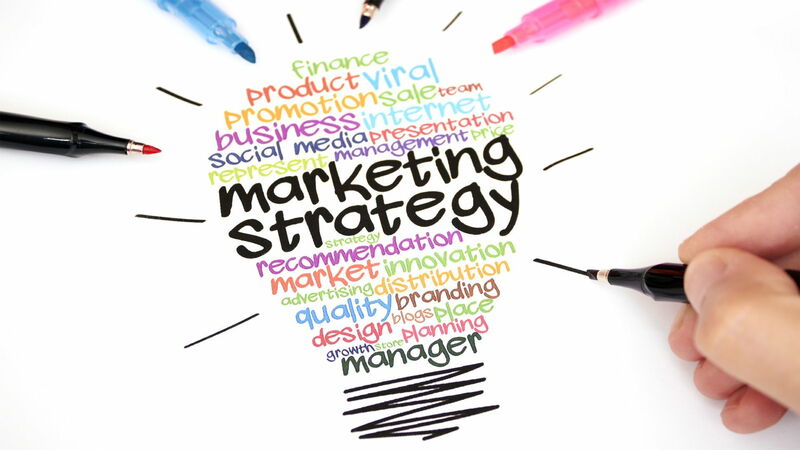 Marketing experts adopt different strategies to promote products and services. The marketing strategy should be distinct and impactful so as to grab the customer’s attention. Your marketing plan must contain complete offline and online marketing strategies, including social media, e-mail marketing, paid marketing (PPC & display ads), viral marketing, inbound marketing and powerful content creation. Corporate identity is the real face of your brand. This is brands ultimately what your customers will connect with, and it gives you an identity in the marketplace. You must get this right in order to leave a better impact of brand on the customer’s minds. Last but not the least, the key part of a marketing plan is defining the entire controlling processes of the campaign. Controlling will be the final phase. It is where we monitor the tasks, comparing to our benchmarks and take necessary corrective actions. The marketing plan should provide the complete framework to control campaigns, and help us to attain desired outcome. Of course though, an effective plan is not enough to attain the organization’s goals. It is the execution of the plans that matters the most. Poor implementation sometimes damages great marketing plans and strategies. Would you have added anything to the above? Do you have any cautionary tales you’d like to share? Please comment, below. Liaqat Ali Hamiya. By Profession Digital Marketing, Blogger and Business strategist. He also works with one of the leading Logo designing company LogoGuts as digital marketing strategist and content contributor.